Matthew Hopkins is in the midst of a 30,000 cycling odyssey on the Pan American Highway from Alaska to Argentina. He dropped through New York City last week. I asked him if he’d mind taking a couple photos and sending me his notes about how he packed his HP Velotechnik Street Machine Gte for travel on Amtrak. I was particularly interested in his methods because, besides being an expedition rider, he also has 20 years’ experience as a shop mechanic. I was curious to see how extensively he took apart his bike, since I figured he’d be comfortable with a greater extent of assembly/disassembly compared to non-mechanic riders. Interestingly, he chose not to take apart the bike very much. I think many riders could pack a SMGte like this without any trouble. The bike will then lie more or less flat on its side and the other pieces can be laid in the spaces in between. I have the ergomesh seat which is the most awkward thing to pack up as it is not exactly a compact design. I had to tape half a box extra to one end to cover the end of the boom and accommodate the seat. 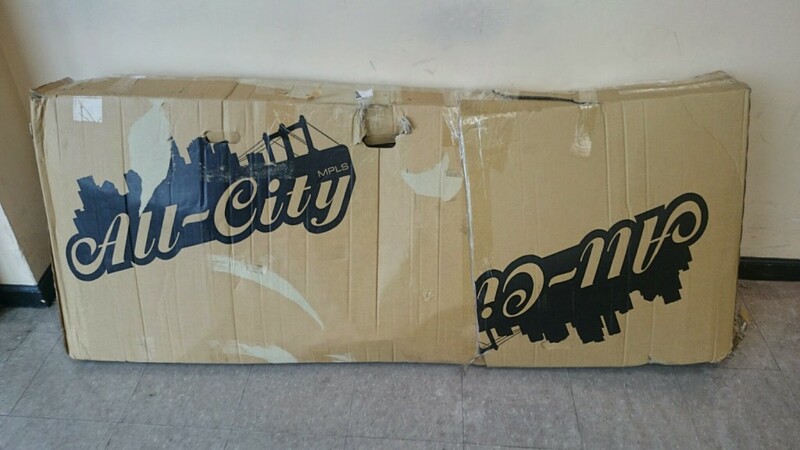 The sealed box was not the prettiest but protects the bike. 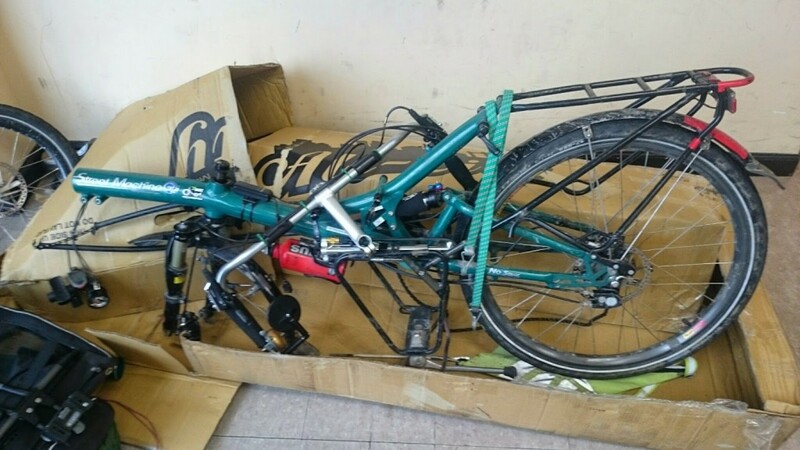 The Streetmachine is not an easy bike to transport. It is heavy, awkwardly shaped and I’m surprised HPV have not released a folding version. But with the right box it can be made a little more travel friendly. This is definitely a machine that prefers to be out of the box and on the road. Sorry the pics are not the greatest, but the staff were hassling me to get out.